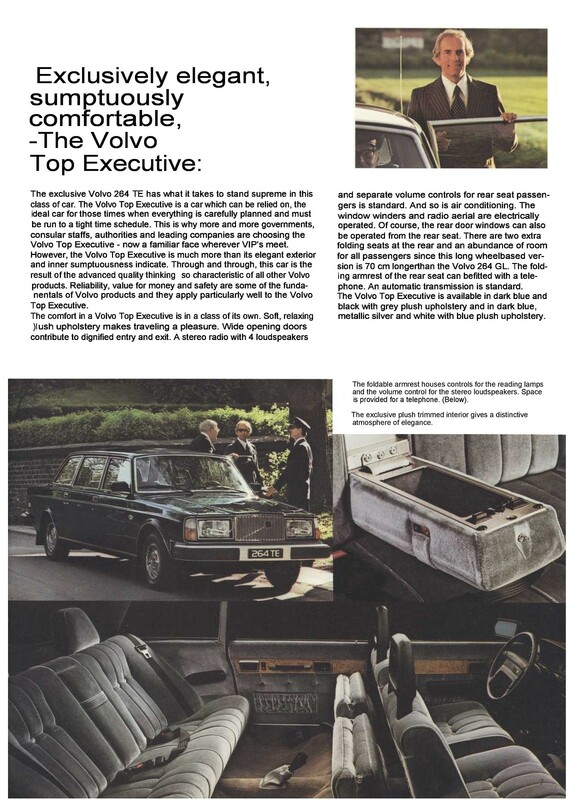 In case a standard 240 estate didn't offer enough space, they stretched it to accommodate another row of seats. 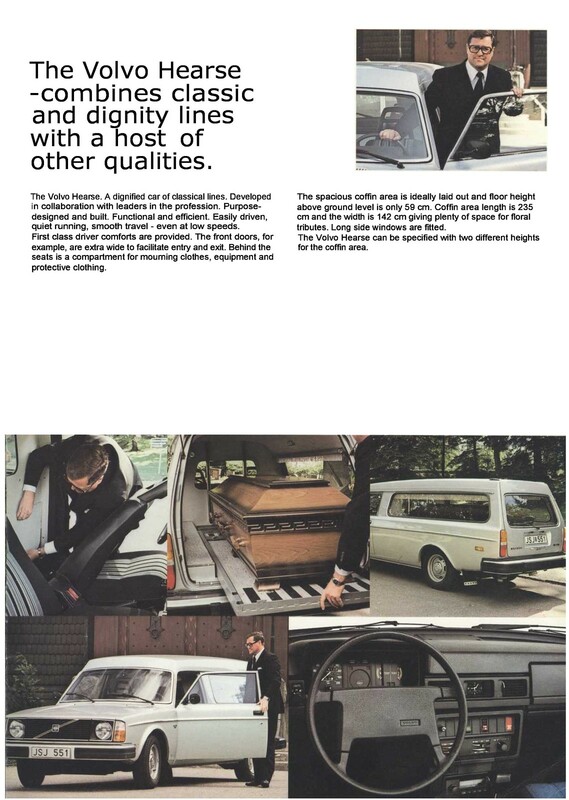 One assumes that both sets of rear seats fold to fit that Ikea Pax bedroom set in. 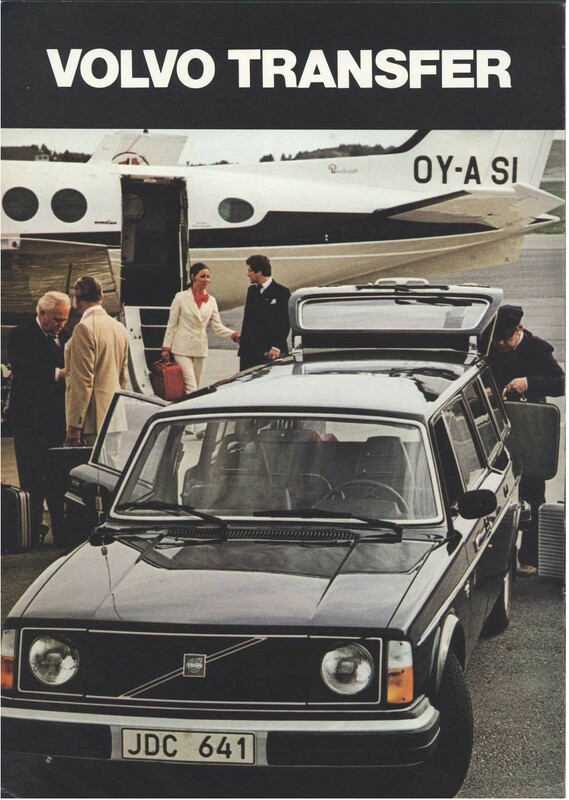 And if an estate can be stretched, then it would only be right that a saloon be put on the stretching rack. 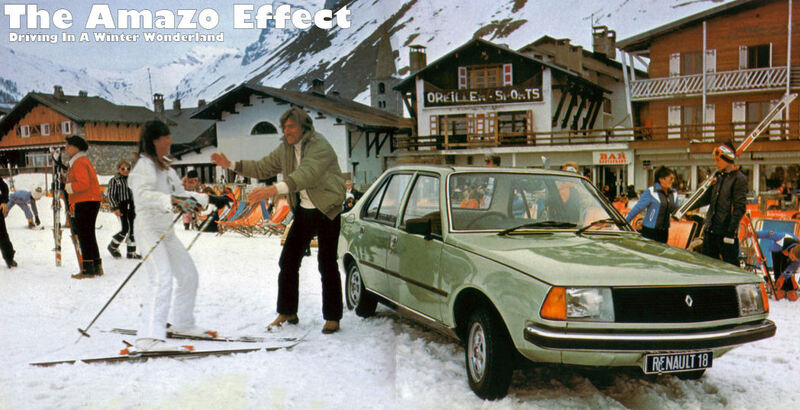 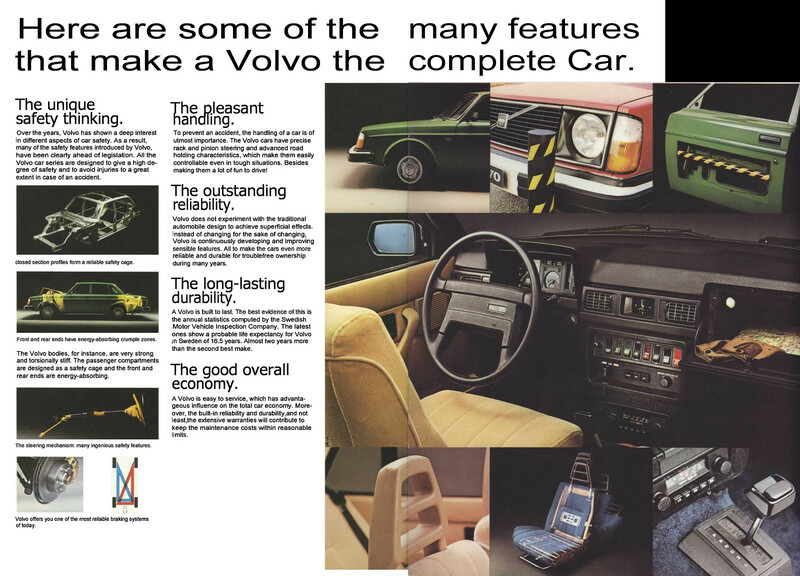 Its sure got that 'Euro Cadillac' vibe going on'. 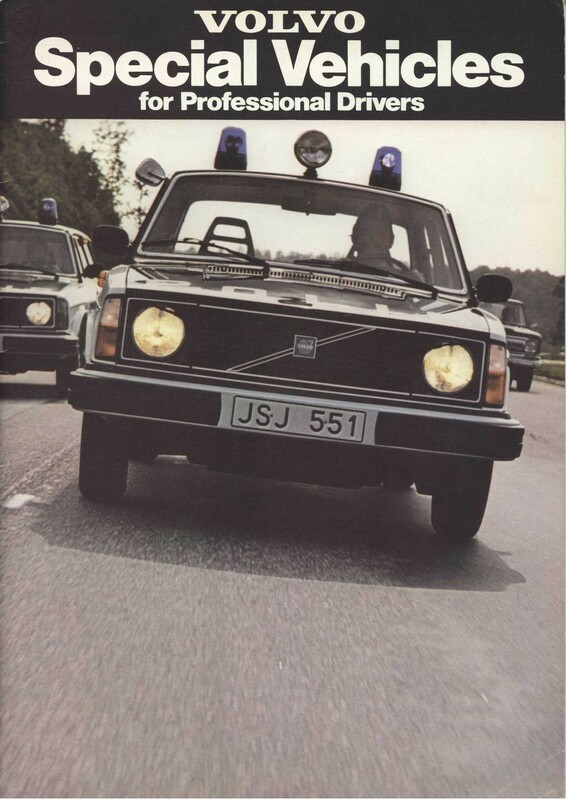 Kurt Wallander's no doubt not far behind. 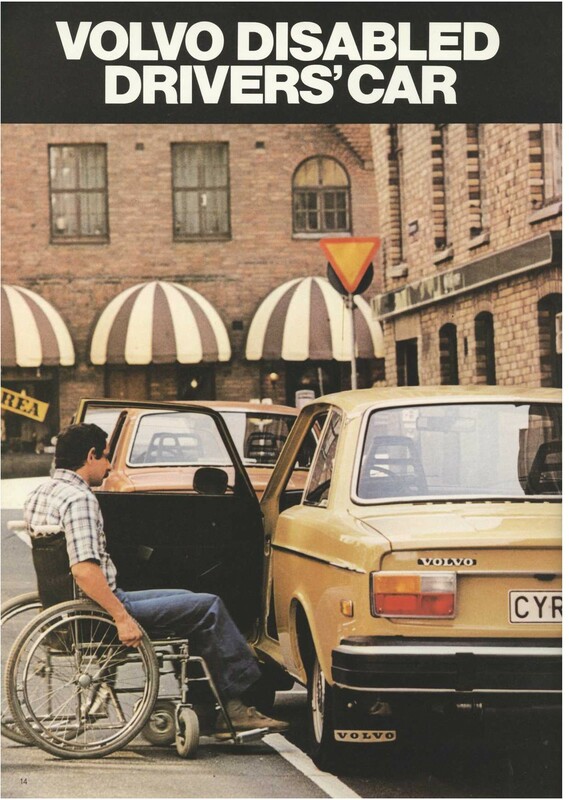 Antone know what the Swedish is for 'ne-naw ne-naw'? 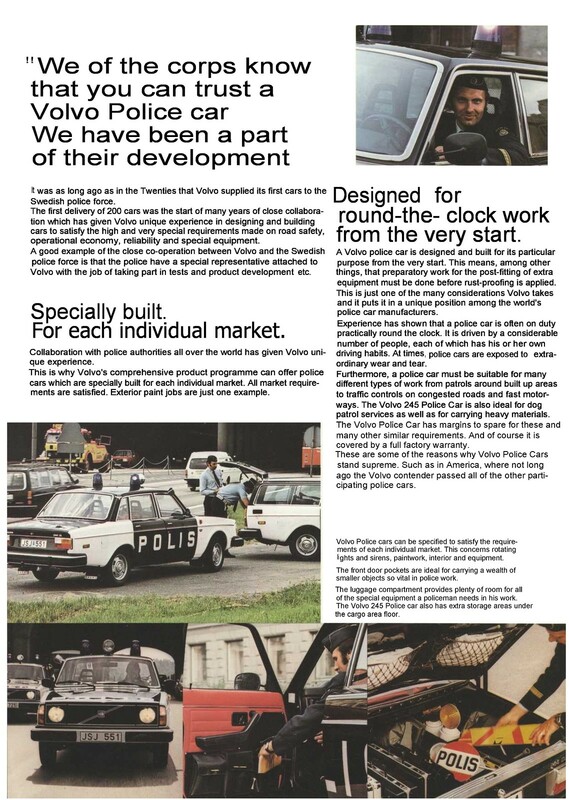 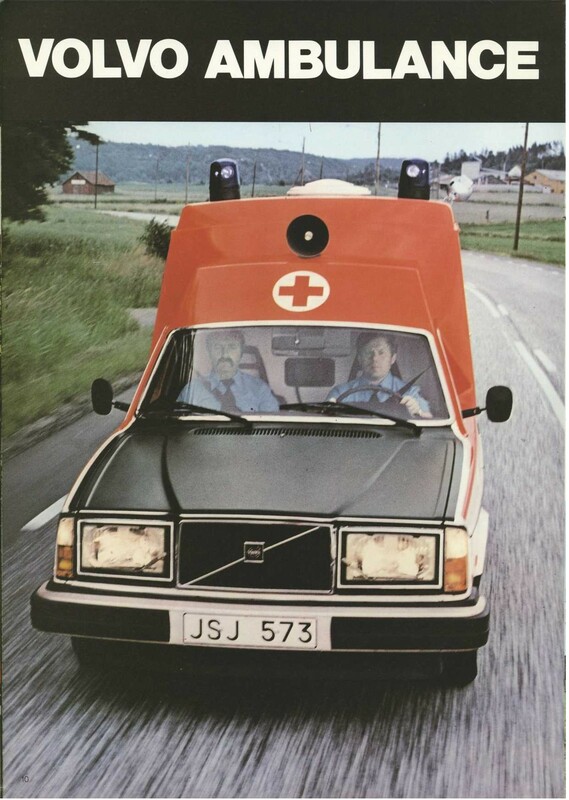 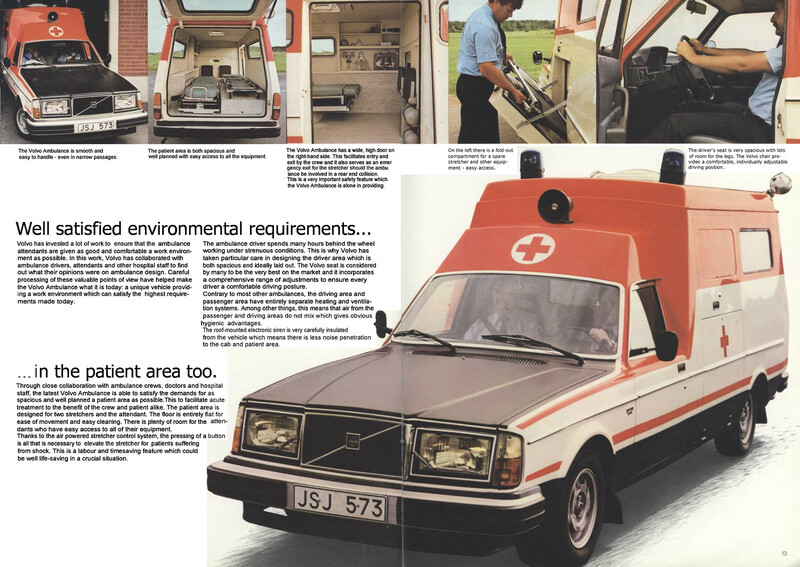 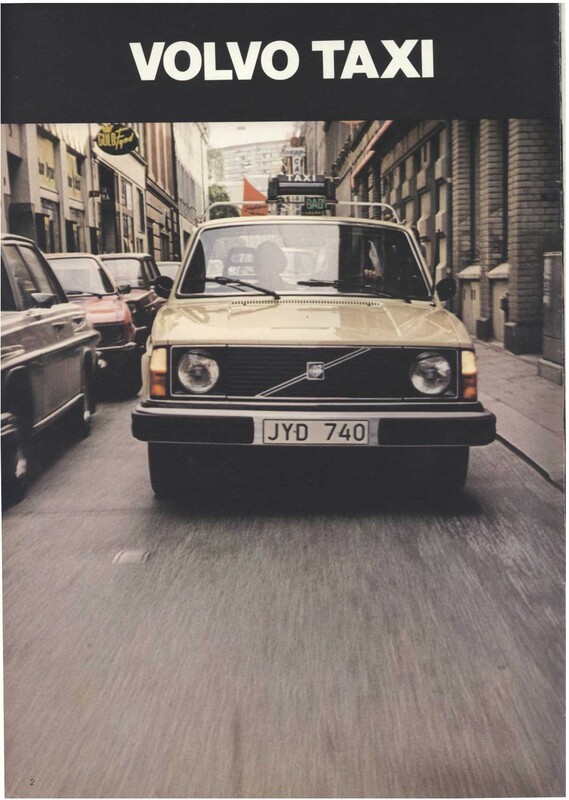 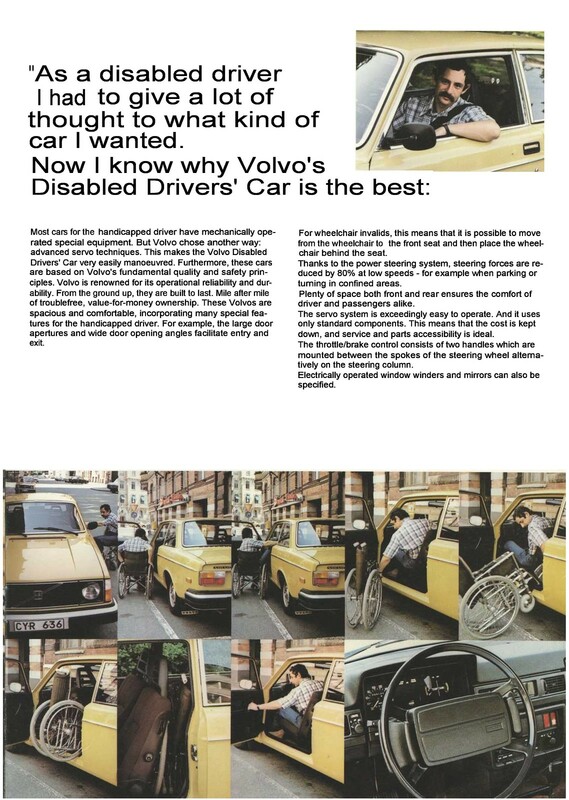 A factory built Volvo ambulance; wasn't aware of the existence of this fine beast until I saw this brochure. 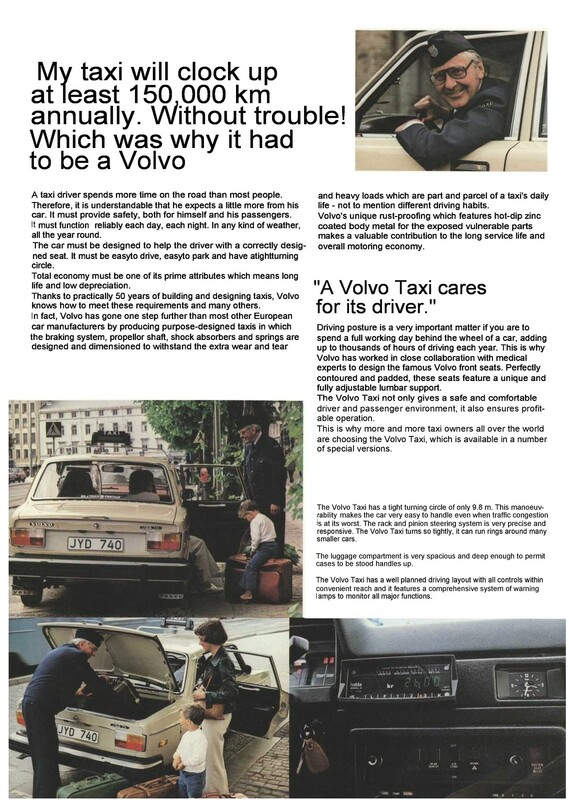 Almost an incentive to get a major injury. 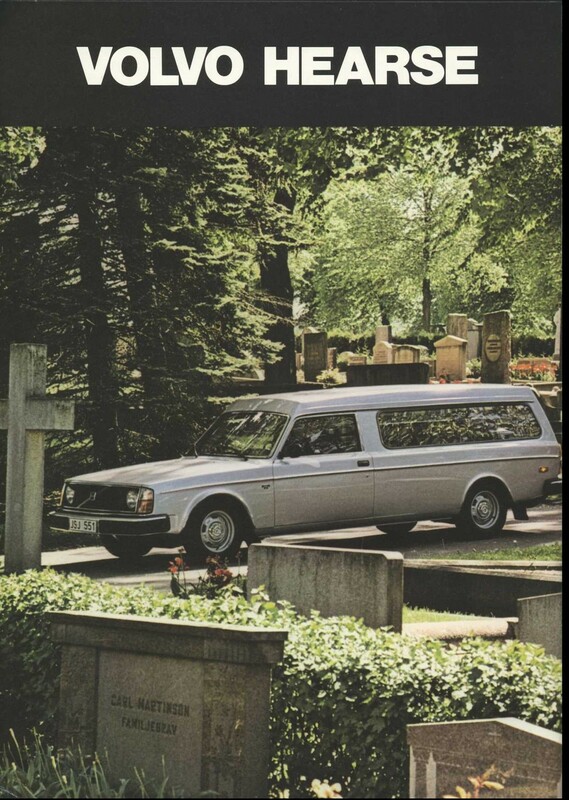 What a shame that the hearse version doesn't appear to have caught on in the UK; it would surely have been a serious rival for the homegrown Coleman Milne Granadas and Daimler DS420s. 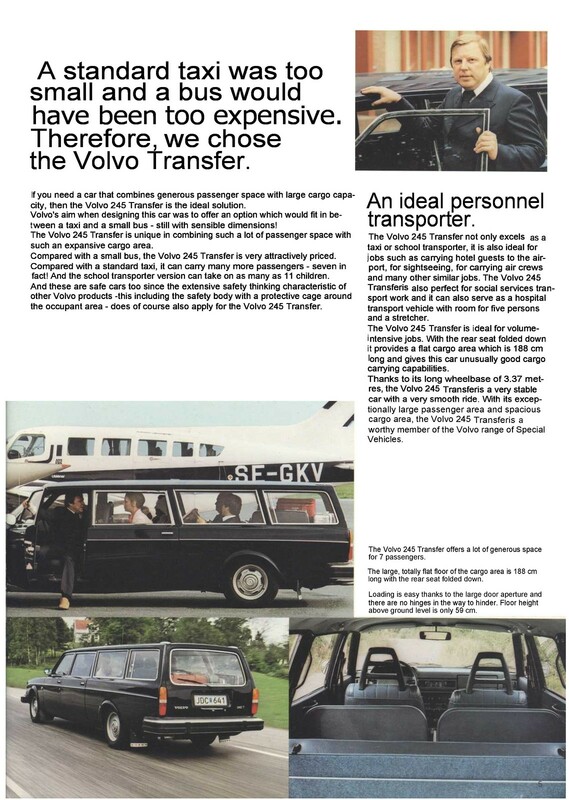 Note the raised roof and lengthened doors in addition to the long wheel base; they would have been great options for the normal production estate. 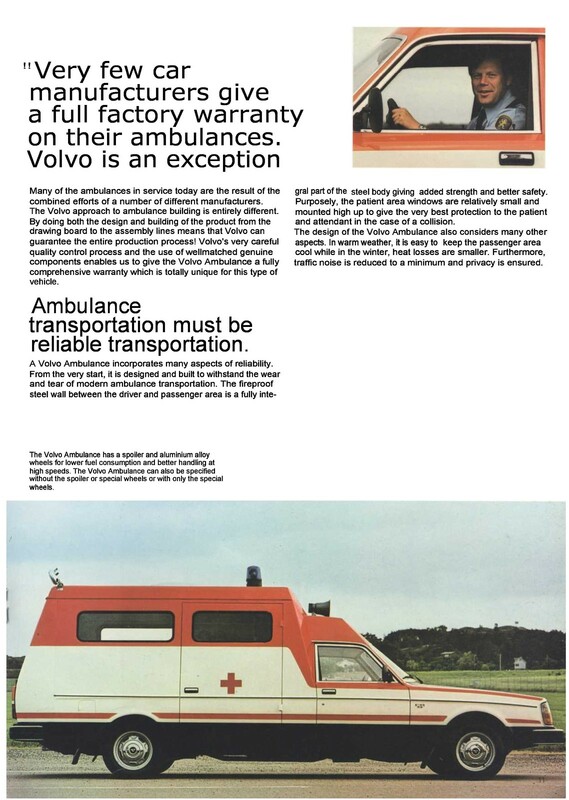 Labels: Volvo 240, Volvo ambulance. 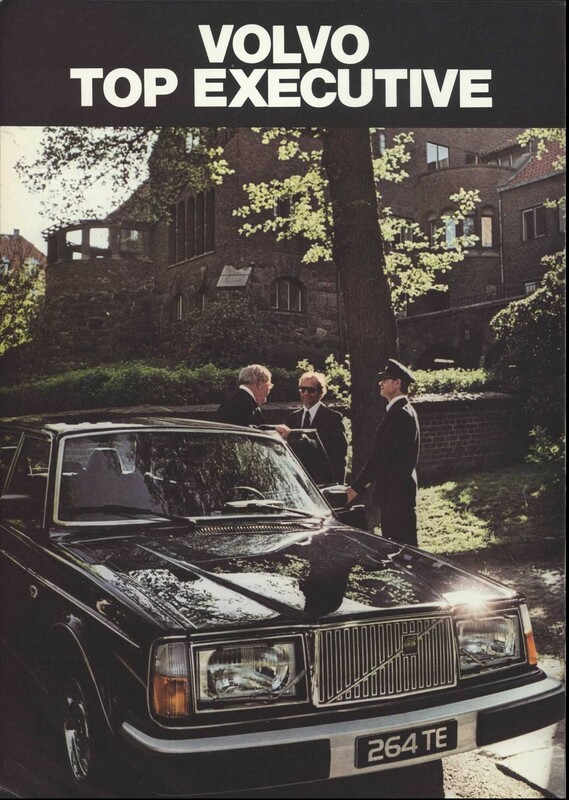 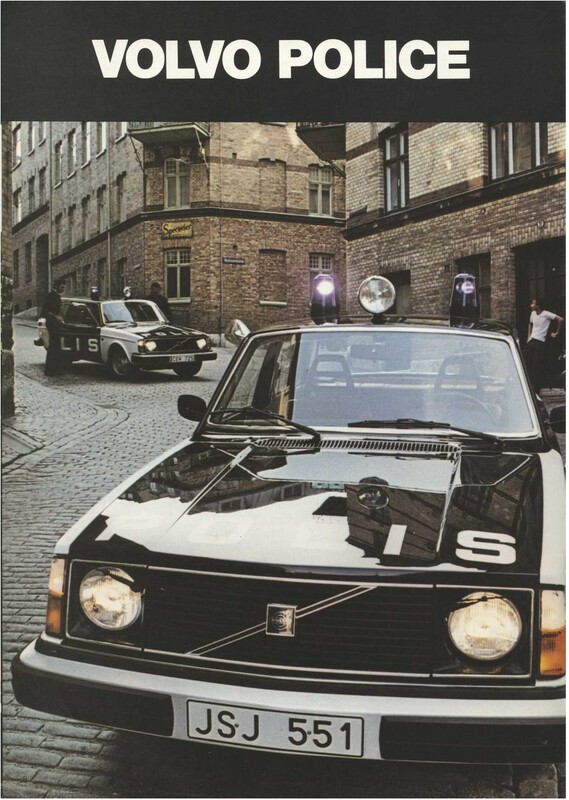 Volvo police car, Volvo hearse, Volvo limousine.